"THE COUNTRY WILL LEAVE YOU VALUING WHAT YOU HAVE. THE RACE WILL CHALLENGE YOU, AND THE PROJECT VISITS WILL BURN INTO YOUR HEART AND STAY WITH YOU FOREVER." - Susie Chan, 2016 Sierra Leone Marathon runner. With a string of beautiful beaches, sprawling lush green landscapes and one of the warmest welcomes you'll receive anywhere in the world, Sierra Leone is a unique and inspiring place to visit. 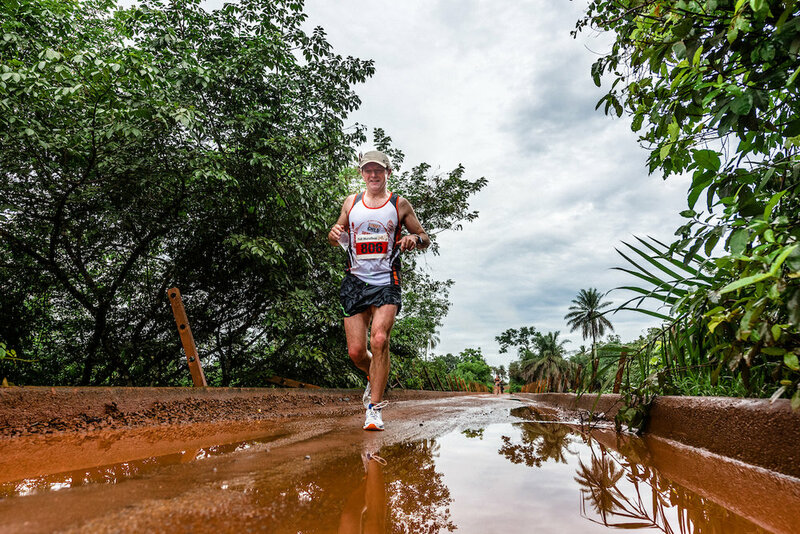 It is also home to the Sierra Leone Marathon – an incredible five-day adventure that sees you take on a life-changing challenge, help change children’s lives and relax on some of the best beaches West Africa has to offer. The Sierra Leone Marathon is a five day trip from 22nd May - 27th May 2019. You’ll begin your trip by visiting some of the charity’s projects in and around the northern town of Makeni – a chance to play football in school playgrounds and visit bustling markets, meeting the women who have setup businesses with help from the charity. These project visits offer a unique opportunity to see how your fundraising is changing the lives of children, families and communities across Sierra Leone. Arrive in Makeni! Most flights will land in Freetown/Lungi Airport in the evening so this is a ‘travel day’. We’ll meet and greet you in the airport and then travel together to Makeni, home of the marathon. Day Two. Thursday 23rd May. Begin the day by travelling through Sierra Leone's lush green landscapes to one of Street Child's remote projects. Meet some of the children living in rural communities who have been given the chance to go to school thanks to support like yours. 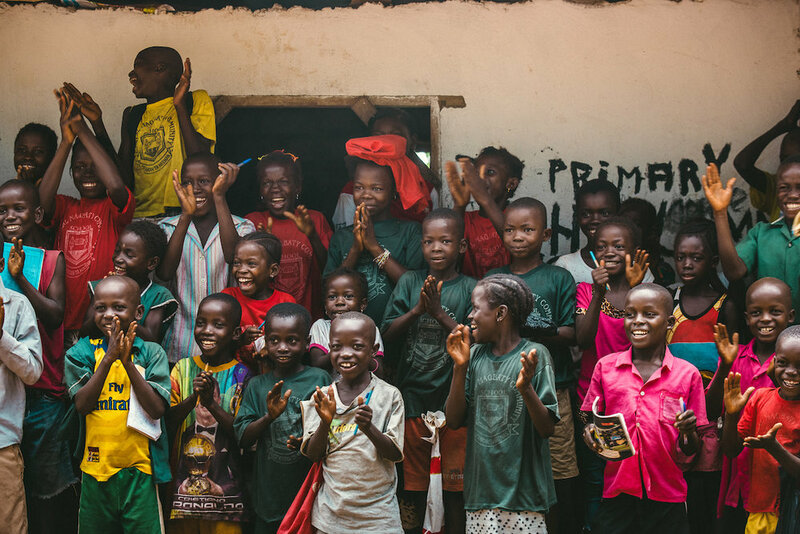 Learn about our work building schools and training teachers in rural Sierra Leone and take the opportunity to get involved - play games and take part in activities from paper plane making to teaching a class! Day Three. Friday 24th May. Today you can explore more of Sierra Leone by getting involved with the hustle and bustle of its towns and cities. Discover Sierra Leone's charming towns, visit busy marketplaces and meet the families who have setup businesses so they can support their children's education. Day Four. Saturday 25th May. Join a workshop with one of our in-country teams to hear more about our work; from learning Krio to understanding how we identify children in need of help, this is a chance to find out more about the way we work from the team on the ground. In the afternoon choose to head down to the stadium for a football match like no other - played by the local amputee football team or spend the afternoon relaxing at Street Child's very own Clubhouse. In the evening, enjoy a pasta party to get you ready for race day! Day Five- The Day of the Marathon! Sunday 26th May. Join hundreds of local runners as you take on the challenge of a lifetime; with distances for all levels from 5km to the full 42km marathon. The route will see you pass some of the most beautiful scenery in northern Sierra Leone winding through lush green landscapes and local communities. Whether you choose to walk, jog or run you’ll be welcomed by local people and high-fived by children along the route. The race's electric atmosphere will carry you towards the finish line as you battle 30-degree heat and 90 per cent humidity. Day Six. Monday 27th May. Morning transfer back to the airport and return home full of memories or extend your trip with a beach extension and top off this unique travel experience with a relaxing trip to one of Sierra Leone's stunning beaches: a chance to rest and reflect on this once-in-a-lifetime journey.